The National Accountability Bureau (NAB) has a lot to be accountable for even as it grills others for the same reason. 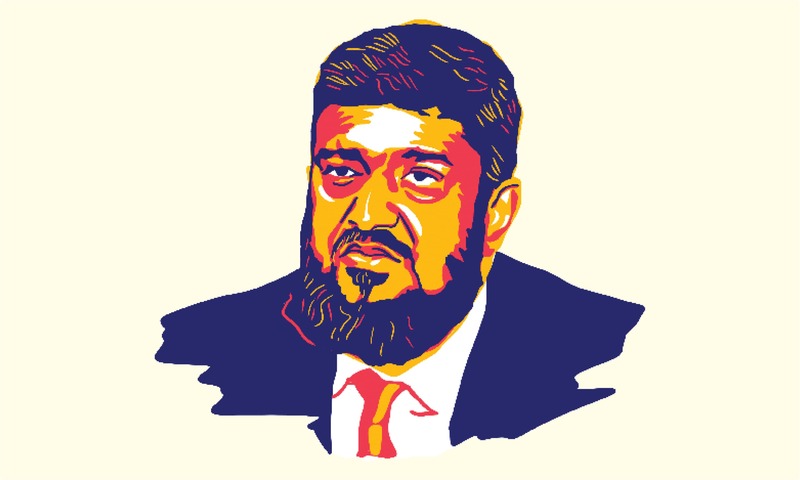 Its controversial role in the ongoing drive to arrest and investigate, which the opposition sees as a witch-hunt carried out at the behest of the ruling party, has been marred further by accusations of misconduct of its officials. The bureau’s Lahore chief, Shahzad Saleem, in particular, cuts a contentious figure. 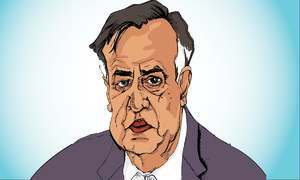 In appearances in courts and on talk shows, Saleem – who is a retired major from the army – has alternated between teary-eyed apologies and uncontained aggression. In the last two or so years under him, NAB’s Lahore chapter has whipped up a storm of cases against top politicians. Professors and bureaucrats, too, have not been spared by the rake of accountability. But many are pointing out that the rake is allowing some to slip through its toothed bars — that its bite is selective. Saleem was appointed in grade 18 as a deputy director of NAB in 2003. Three months later, he was promoted to grade 19 even though the rules mandate that a person must spend seven years in the bureau to be promoted to grade 19. Five years later, he was promoted to grade 20 even when he needed to spend 12 years with the anti-graft body to be eligible for a promotion from grade 18 to 20. A three-member committee headed by the establishment division secretary later stated that Saleem’s promotion would be reviewed as there were flaws in how NAB evaluated his performance to ensure his promotion. When a show-cause notice was issued by the committee, he chose not to appear in person and submitted a written reply instead. He was recently engulfed in another controversy. A journalist filed a petition at the Supreme Court claiming that Saleem’s degree was counterfeit as it was issued in 2002 but was in the Calibri font which was not commercially available before 2007. A report prepared by the establishment division secretary also stated that Saleem did not obtain a no-objection certificate to enroll for the degree. He also did not obtain leave to attend classes at Al Khair University in Mirpur, Kashmir. He, however, claims that he studied in the Islamabad campus of the university in the evening shift. He also contends his degree is verified by the Higher Education Commission. The apex court later dropped the petition from its cause list after the petitioner expressed his unwillingness to appear before the court. In another recent respite, Saleem avoided being transferred even when at least three director-generals of NAB along with other senior officials were shuffled on the orders of the NAB chairman. He, however, has not avoided censure for his department’s heavy-handedness. In October 2018, the Chief Justice of Pakistan reprimanded him for producing the Punjab University’s former vice chancellor and other professors in an accountability court in handcuffs. Though Saleem apologised to the court, the real apology – owed to the professors – never came. In another, far more troubling episode, a professor of the University of Sargodha, who was arrested by NAB in October last year, died in judicial custody last month. A photo of the professor’s body circulating on electronic and social media showed his hands chained even in death. NAB, however, refuted responsibility saying he died of a cardiac arrest and was not in NAB’s custody but was detained at Lahore district jail. That Saleem and his men have committed some excesses in the name of accountability is clear. Professors, accused of graft as they may be, do not need to be chained or handcuffed like villainous murderers. One also wonders why a three-time chief minister needs to be kept in custody when he is willing to be a part of NAB’s investigations and can be stopped from leaving the country through other means — particularly at a time when ruling party members from Punjab with cases pending against them have faced little inconvenience in their investigations. That Saleem is appearing on talk shows and disclosing information about various cases, revealing, for instance, in great detail how one top bureaucrat broke down in front of Shehbaz Sharif when confronted by NAB is also hard to define as anything but a media trial. It would, however, be a travesty of justice if, in its fervour to combat corruption, NAB commits more error than trial. It is indeed another effort to discredit NAB and to assist the accused plunders in getting some relief. A controversial person like Shahzad Saleem should not part of NAB staff. If we cannot find unimpeachable characters at NAB then where else we can find them. The public has given mandate to PTI to fight corruption. Presently, NAB is only institution which can help PTI to combat corruption. Therefore, NAB and the public will be better served if we do not Shahzad Saleem at NAB.